The Moto Z2 Force is set to be announced next week on July 25 in New York City. We’ll be there covering the live event, but before that happens, we’ll keep covering rumors and leaks. The latest report comes from Evan Blass at Venture Beat who has allegedly uncovered a couple of hardware decisions that some probably won’t be excited about. The Moto Z2 Force will (unsurprisingly) pack a Qualcomm Snapdragon 835 SoC paired with 6GB of RAM. That is, unless you live in the United States, where you’ll only get 4GB of RAM. In addition, RoW (rest of the world) units will get 128GB of internal storage where US variants will get just half of that. Although different regions will get different variations of RAM and storage, the US will definitely be getting the shorter end of the stick. 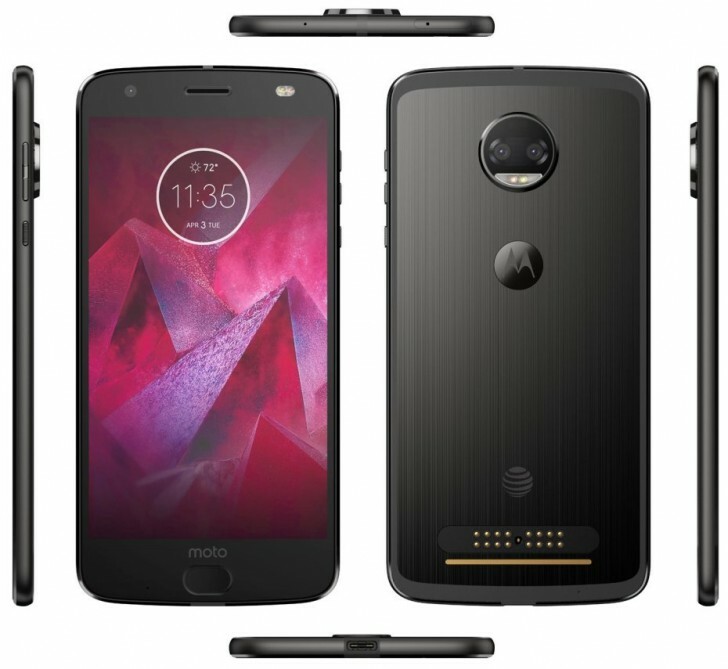 Moving on to the camera, the Moto Z2 will feature a dual-12MP camera setup, a drastic change from the Moto Z Force's 21MP averagely-performing camera. The selfie camera will remain the same at 5MP with a front-facing LED flash. Now on to what you’re probably reading this post for: the battery. Moto has reportedly gone with a smaller 2,730 mAh battery for its top-of-the-line smartphone offering for the year. Take a moment to read that sentence again if you need to. The Moto Z Force offered a hefty 3,500 mAh battery, so to see Moto dropping the capacity in favor of a slightly thinner phone isn’t an exciting piece of news. Moto has much cheaper smartphones with much larger batteries, so Moto’s decision to use a battery that’s 22% smaller… we’ll let you connect the dots… cough *Moto Mod$* cough. On the plus side, the Snapdragon 835 has proven to be quite efficient, even on smartphones like the U11 and S8 which both use the same size batteries as their predecessors, despite the larger displays. All we can hope is that the Moto Z2 Force can last more than one whole day. By contrast, the Moto Z could barely make it through one. That camera hump is the worst in history,I like everything else but that.